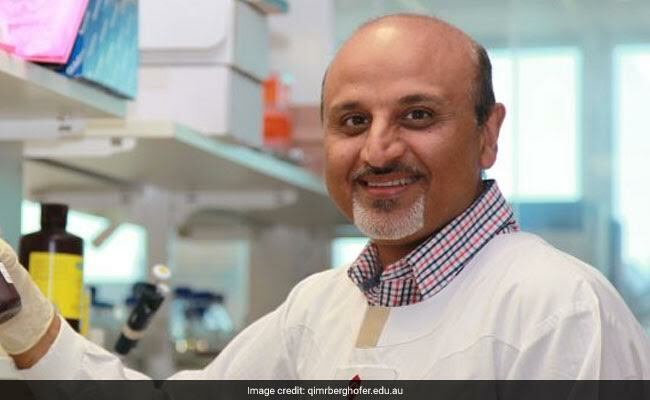 A cancer researcher and founder of a charity that helps Malayalis in Australia have been selected in Queen Elizabeth's annual birthday honours list. Melbourne: Two Indian-origin men are among 900 Australians who have been recognised by British Queen Elizabeth II in her annual Birthday Honours list for their contributions to the community. The Queensland-based Professor Rajiv Khanna was honoured with Order of the Companion of Australia for distinguished service to medicine in the field of immunology, through contributions to the development of cellular immunotherapies for the treatment of cancer, infectious complications and chronic diseases. Unnikrishnan Velayudhan Pilla from Queensland was awarded the medal of the Order of Australia in the general division (OAM) for service to the Malayali community in the state. The list for this year released yesterday recognised a diverse range of people including scientists, entertainers, lawyers, designers, community workers, performers and a psephologist. "To all recipients, I offer my deepest congratulations, admiration and respect for your contribution to our nation," Governor-General Sir Peter Cosgrove said. Mr Khanna is the founding director and group leader at the Centre for Immunotherapy and Vaccine Development at the Brisbane based QMIR Berghofer Medical Research Institute and also the senior principal research fellow at National Health and Medical Research Council of Australia. Rajiv Khanna, born in India, has been in Australia for 27 years now and has authored and co-authored more than 200 scientific papers. Mr Velayudhan Pilla, founder of Jvala Charitable and Cultural Society, has been a recipient of several community awards in the past including the Bharat Gaurav Award, Lord Mayor's Australia Day Award and the Multicultural community award for services to the Malayali community in Queensland. Others who received the award this year were Hollywood star Cate Blanchett, eminent scientist Antony Colman and well know economist Ross Garnaut. The honours are awarded for service to the country to mark the Queen's official birthday in June each year.